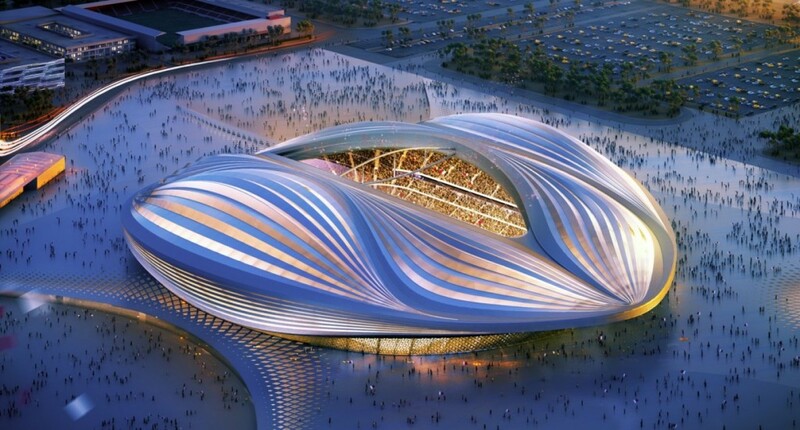 The 2022 World Cup stadium looks like a giant oyster... or something a little more risque? 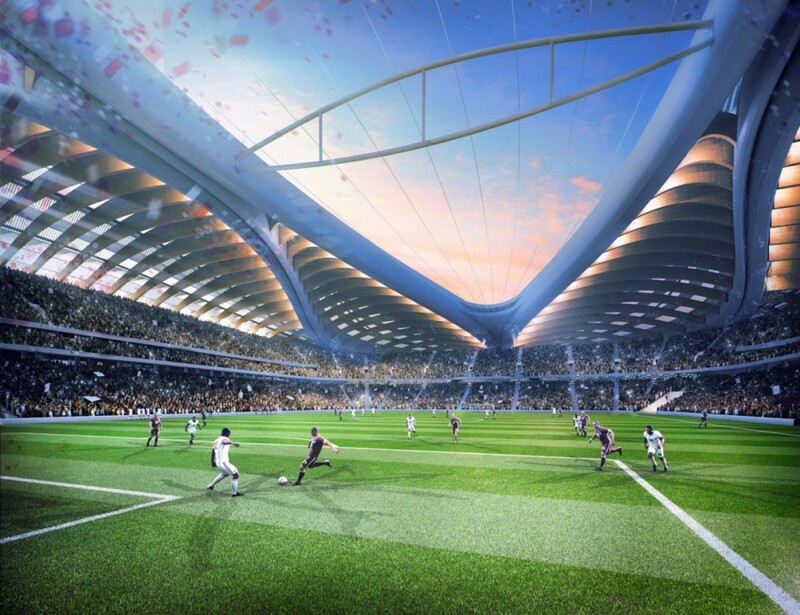 The 2022 World Cup stadium looks like a giant oyster… or something a little more risque? 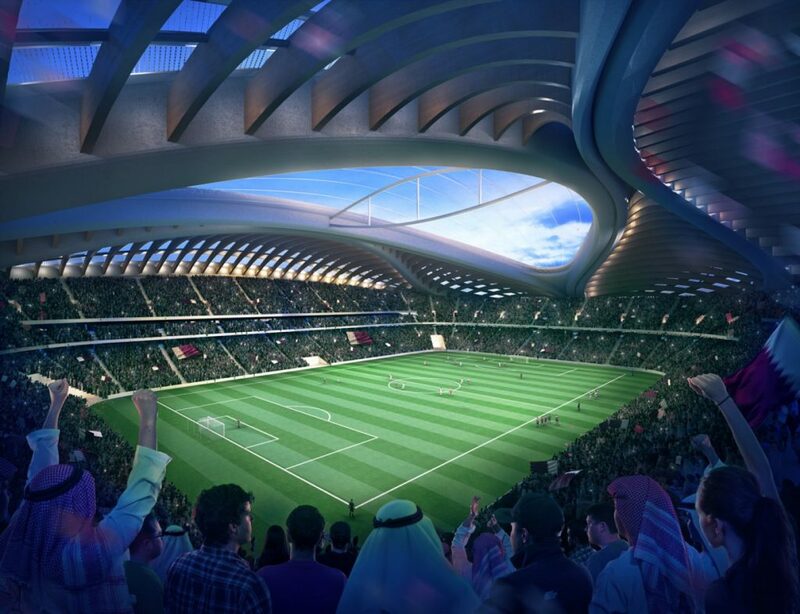 Soccer and architecture fans, as well as gynecologists, can come together and cheer on the first renderings of what renowned Zaha Hadid Architects has planned for the 2022 FIFA World Cup stadium in Qatar. The venue will be located in Al Wakrah, the country’s southern-most host city. Despite talk of moving the tournament to the winter, the building is being built to withstand Qatar’s harsh summer climate and will be fully air conditioned. The stadium will seat up to 40,000 during the World Cup, but with modular pieces comprising the upper portions of the venue, capacity can be lowered to 20,000. According to Zaha Hadid Architects, the design was inspired by the curved form of a dhow, a type of Arabian fishing boat that speaks to Al Wakrah’s tradition as a fishing and seafaring town. But if you ask almost anyone else, the stadium looks like… well, to put it bluntly: female genitalia. Below are more renderings of the project followed by notable reaction and common observations from the Twittersphere. Want to see more stunning stadiums? Check out our roundup of the seven best here. Or for more Zaha Hadid designs, check out these six eye-popping efforts.